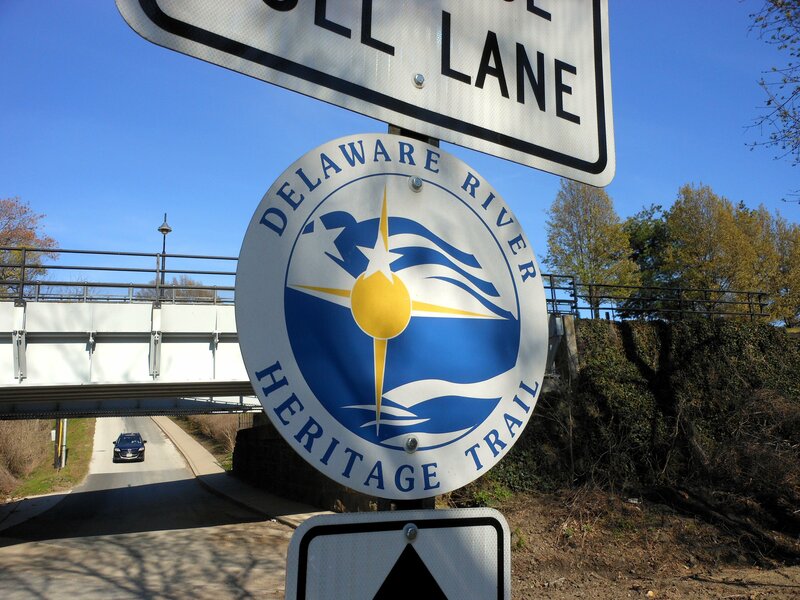 The Delaware River Heritage Trail is a 60 mile loop that will span 24 communities from Trenton to Palmyra, and Morrisville to Tacony, along the upper section of the Delaware River. 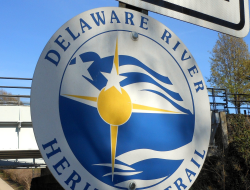 It is also part of a 750 mile biking/hiking trail known as The Circuit. 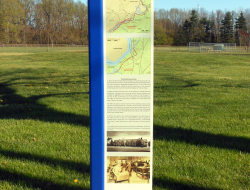 Working with Taylor Design Group, Inc. and Command Company, Inc., we constructed a complete series of signage known as a directional wayfinding system. 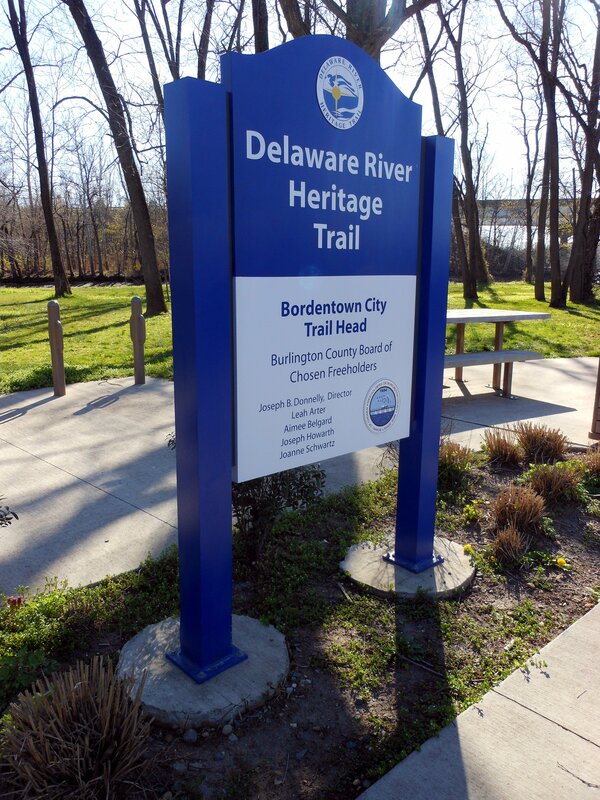 In Bordentown Beach, Bordentown, a large trail sign marks the start of this finalized 2.8 mile segment which links Bordentown Township, Fieldsboro Borough, and Bordentown City. 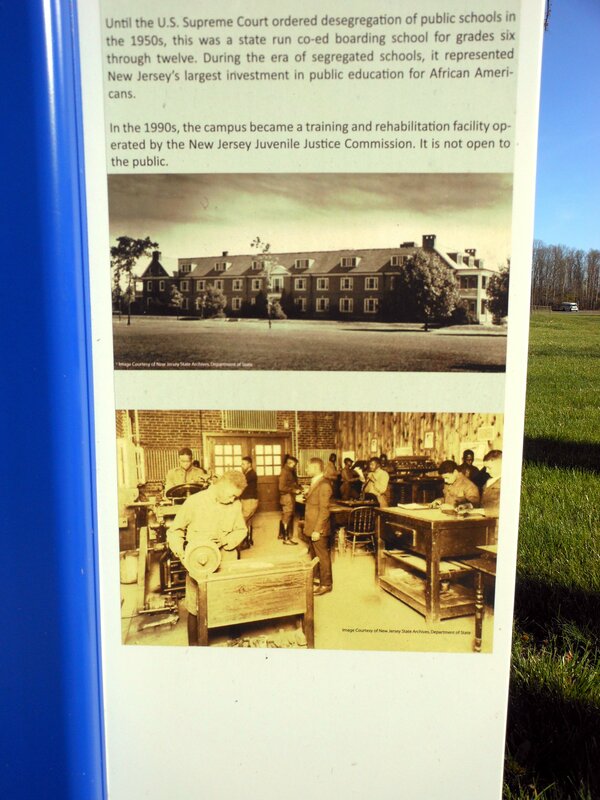 From there, you will find pillar-shaped posts which showcase historical context, photographs, and local maps. 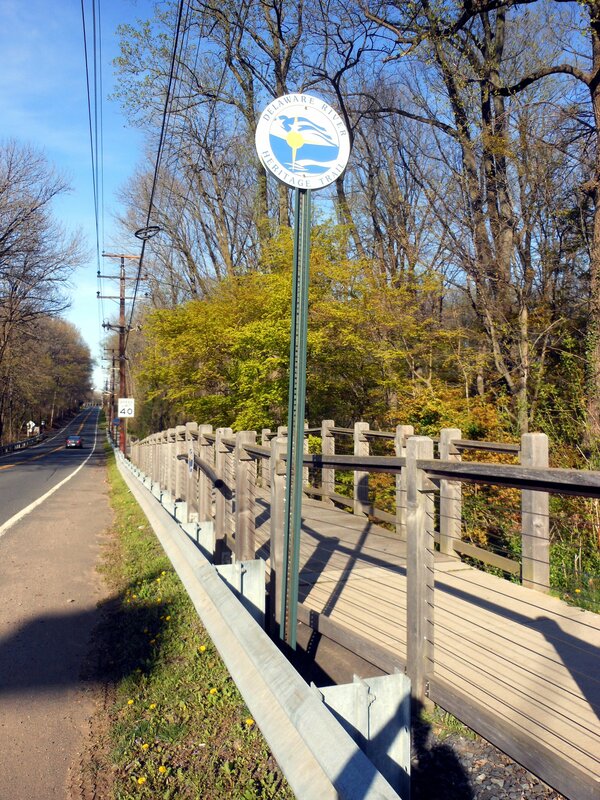 Overhead, small circular signs indicate the direction of the trail which can be followed on-foot while walking the sidewalk. We are grateful to have had the opportunity to work with others to create this beautiful and most useful navigation system. 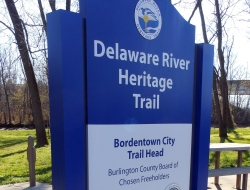 The main sign is constructed of aluminum with acrylic polyurethane finish, the lettering was created using vinyl graphics and digital images, and the seal is an aluminum disc with digital imagery. 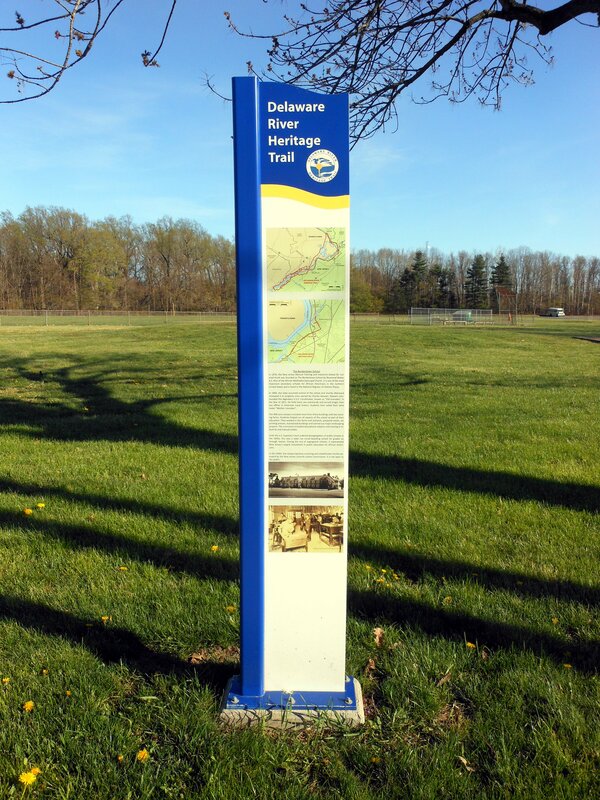 The 5 pillar-shaped post signs are constructed of a solid plate aluminum square with acrylic polyurethane finish, and the content was made with digital print and vinyl graphics. 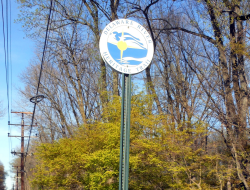 The 20 circular signs, some including directional arrows, are also constructed of aluminum and feature digital print.